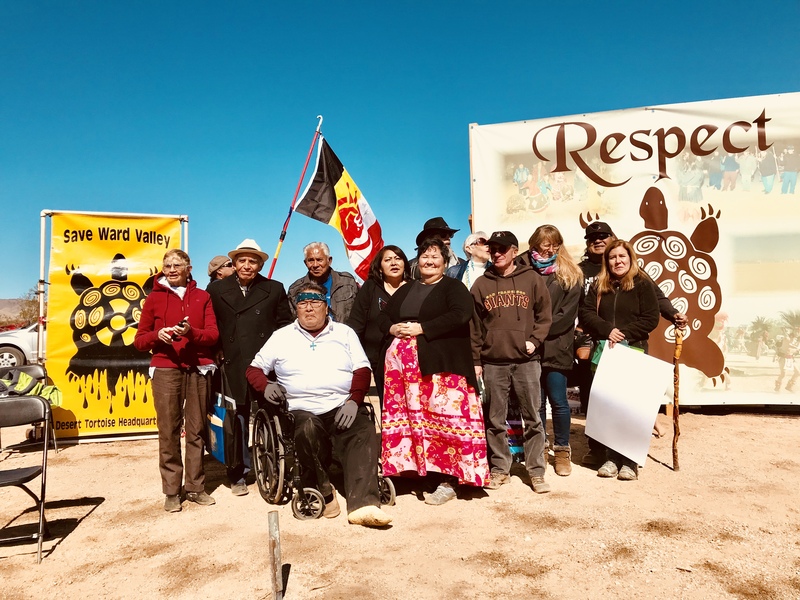 Greenaction’s very first campaign in 1998 was to join with the Colorado River Native Nations Alliance to defeat the proposed Ward Valley nuclear waste dump in the Mojave Desert of California. A nuclear dump would have threatened the sacred lands at Ward Valley and also would have threatened the nearby Colorado River and the health and environment of the many nearby Native Nations. We join with the Tribes and allies every year to celebrate the 113 day occupation of Ward Valley that helped defeat the proposed nuclear dump. Greenaction continues to work with indigenous peoples in the US and Mexico to protect their lands, sacred sites, culture, health and environment. We work very closely with the Indigenous Environmental Network to protect indigenous lands and peoples from environmental threats. Dirty industries continue to target tribal lands, hoping to exploit tribal sovereignty to avoid city, county and state laws. We work with indigenous peoples and Native Nations to oppose attempts by governments and industries who engage in or propose to engage in activities that desecrate sacred sites. 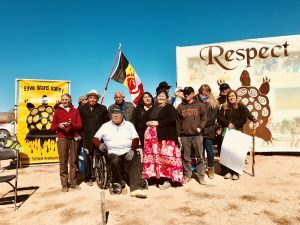 Greenaction is working with the Fort Mojave Indian Tribe and tribal members from the Native Nations along the Colorado River to defeat plans for a nuclear power plant in Green River, Utah. As the Green River flows directly to the Colorado River, millions of people including many Native Nations who have lived along the Colorado River since time immemorial are at risk. Greenaction and the grassroots tribal member organization the Gila River Alliance for a Clean Environment have worked together since 2000 on many environmental health and justice issues on this reservation near Phoenix. Together we have won several big victories, including closing down two major polluting industries that imported waste from around the west, the Romic hazardous waste plant and the Stericycle medical waste incinerator. Current efforts are focused on defeating the proposed Loop 202 freeway that would desecrate sacred mountain Moahkak Do’ag also known as South Mountain. Ward Valley, California — SAVED! FROM THE ARCHIVES: Call to Action – Save Ward Valley!